An adventurous option, the Katrinia cut-out 8-eye boot is a perfect option for the spring and summer seasons. Featuring modern cut-outs to the upper leather, it's as fashionable as it is classic. 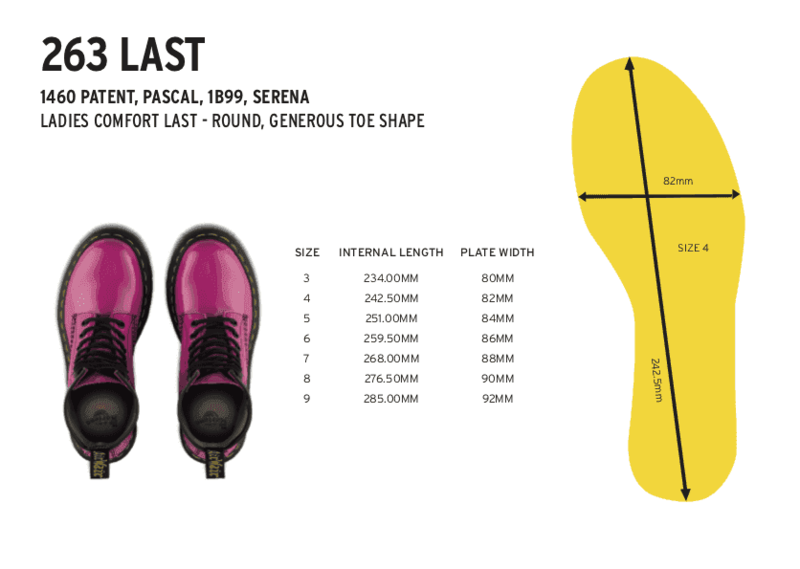 8-eye fastening and Dr. Martens branded pull-tab finish off the look. Crafted from Dr. Martens new Stone Leather ó soft, pebbled leather. Features an easy-to-enter full-zip heel.